CARFAX One-Owner. Clean CARFAX. Black 2013 Chrysler 300 Nav/Sunroof!!! RWD 8-Speed Automatic 3.6L 6-Cylinder SMPI DOHC 2013 Chrysler 300 Nav/Sunroof!!! in Black, Bluetooth for Phone and Audio Streaming, CLEAN CARFAX, ONE OWNER, MOONROOF SUNROOF, NAVIGATION GPS NAV, LEATHER, Rear Back Up Camera, 4D Sedan, 3.6L 6-Cylinder SMPI DOHC, 8-Speed Automatic, Black, 1-Year SIRIUSXM Traffic Service, 1-Year SIRIUSXM Travel Link Service, 8.4`` Touch Screen Display, ABS brakes, Alloy wheels, AM/FM radio: SIRIUS, Audio Jack Input for Mobile Devices, CHMSL Lamp, Compass, Driver Convenience Group, Dual-Pane Panoramic Sunroof, DVD-Audio, Electronic Stability Control, Fog Lamps, Front dual zone A/C, Garmin Navigation System, Heated door mirrors, Heated front seats, Illuminated entry, Low tire pressure warning, ParkView Rear Back-Up Camera, Passenger door bin, Power Driver/Passenger 4-Way Lumbar Adjust, Power Front Driver/Passenger Seats, Radio: Uconnect 8.4N CD/DVD/MP3/NAV, Remote keyless entry, Remote Start System, Remote USB Port, Security Alarm, SIRIUS Satellite Radio, SIRIUSXM Traffic, SIRIUSXM Travel Link, Traction control, Universal Garage Door Opener. 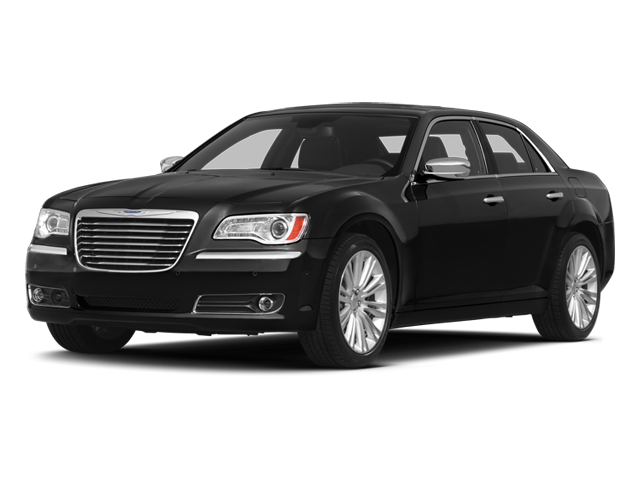 Hello, I would like more information about the 2013 Chrysler 300, stock# P5036. Hello, I would like to see more pictures of the 2013 Chrysler 300, stock# P5036.